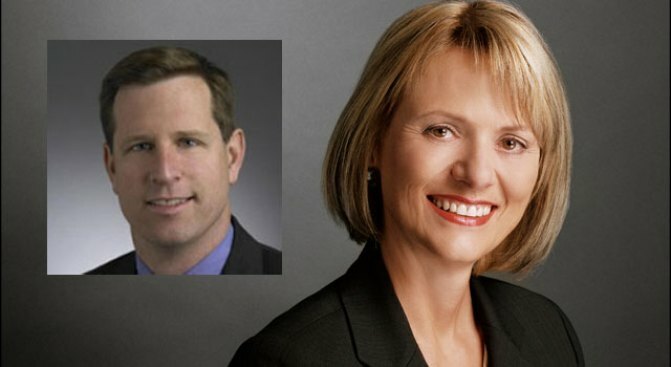 Yahoo CEO Carol Bartz has hired a new CFO, Timothy Morse, from outside the Internet industry. Yahoo CEO Carol Bartz is not too fond of Webheads. In her ongoing makeover of the struggling Internet giant, she's repeatedly hired people from outside the industry. The latest is her new chief financial officer, Timothy Morse, who comes from Altera, a chip company. Before that, she'd hired executives from companies like NetApp, a computer storage supplier, and Symantec, the security-software company. Bartz herself worked at Autodesk, a maker of software for computer-aided design. At a recent tech-industry conference, she cursed out a host on stage while defending her résumé. "Is this the part where you ask me if I'm too old and too dumb to understand the Internet?" she asked D: All Things Digital organizer Kara Swisher -- and then dropped the f-bomb. Touchy much? Bartz is extending a metaphorical middle finger to all the Internet veterans who might reasonably be up for jobs at Yahoo by staffing the company with people from the broader technology industry. Observers have praised Bartz's energy and determination. But her new hires hardly answer the chief criticism: That Bartz and the team she is building are inexperienced in online advertising, the main source of Yahoo's revenues. There's another, more disturbing possibility: That Bartz would like to hire experienced Internet hands, but can't because Yahoo, thrashed by Google in the online-advertising market and losing ground to social-networking sites like Facebook and MySpace in the younger audience, is not an attractive place for them to work. Bartz has this in her favor: Yahoo, which went on an acquisition spree in which it splashed out tens of millions of dollars on the most adorable Internet startups around -- Flickr, Del.icio.us, Upcoming, Jumpcut, and the like -- hardly thrived when it had a lot of self-appointed Internet experts in-house. If Yahoo's the house that the Internet people built, is it any surprise Bartz is not rolling out the welcome mat?